In the past six months, I’ve noticed a huge evolution in my movie sensibilities and I’m not sure I like it. A shorthand summation of this anxiety would be that I’m afraid I’ve become a bit too snobbish, demanding a self-importance to film that few movies have. But, upon reflection, that’s the extremely crass and negative way to examine the shift I’ve gone through in these past months. Part of the issue also becomes the past six months have been met with personal issues (ones I’m still debating whether or not to divulge) that have made me wonder if they’ve been clouding my judgment. But now having crested the hill, I look back and see that no, that’s not the answer. It’s clear what’s happened: I’ve grown tired of the complacency of many films. Just in the last week, I’ve watched two titles that I’m fairly sure I would have liked a lot more six months ago. Now I can’t help but sigh at how tired and lazy these films felt. 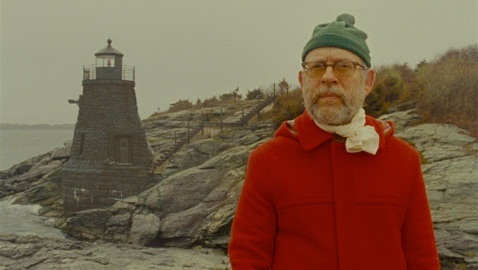 Moonrise Kingdom, for all its charm, isn’t an interesting progression or take on Wes Anderson’s themes or aesthetics. Is it still charming? Sure. But it’s pretty much everything one could expect going into it without anything exemplary or noteworthy. My father described it as existential, which I wasn’t sure was the right word in the moment, but after reflection, I think he’s spot on. It comes across as so worn and tired. I still enjoyed it, but couldn’t help but let out a weary sigh after I saw it. If nothing else, my reaction to the film was certainly existential. Likewise as much as Brave features admirable depictions of women and an intelligent mother/daughter relationship, when it came time to write about it, I couldn’t help but harp at how lazy and easy a lot of the trappings surrounding those great elements were. 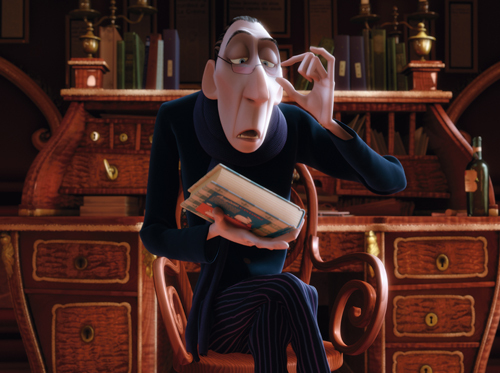 The cheap jokes, the contrived narration and easy moralizing came across as a trite slap to the face after the nuanced and understated delivery of many of Pixar’s previous films. Even then, I’ve noticed I’m tired of simply admiring the craft of film. This is not to say I can no longer appreciate a well-done shot or a tightly constructed story, but if that’s all the film has to offer, I find myself indifferent to the whole affair. 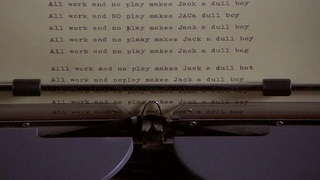 A prime example of this would be the work of David Fincher. Has he made some excellently crafted films? Certainly. Do I care about any of them? No. It’s a strand I’ve noticed among many of the most widely touted American and Hollywood filmmakers. They’re great craftsmen, but I find myself divorced and distant from many of their works. You can talk to me all day about the brilliance of a particular edit or the elegance of a story structure, but it’s not going to speak to me. I can admire it, I can appreciate it, much like the finer detail of a master craftsman, but I need more than the craft. I need films that challenge me, that wake me out of a place of complacency. I need more than simple themes with basic morals, I need films that dare to say that what I know, think, feel and understand isn’t all there is. I need films that challenge me, shake me around, films that aren’t afraid to boldly run against everything that is pleasing and safe to think and understand. This is why I’ve spent a good deal of time this year exploring the films of Godard and Kiarostami, two directors that challenge my conceptions of what films are and what films can be. 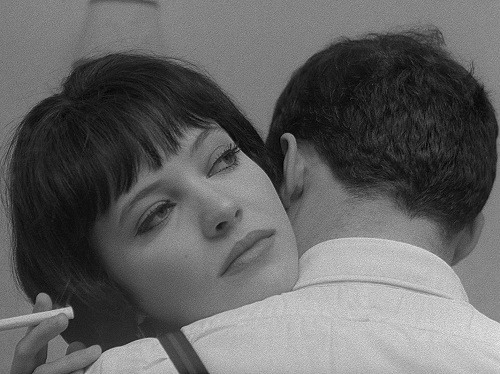 For Godard, film is a bridge between the mind and the heart, a way to take the dense, esoteric philosophizing that intones through the voices of his characters and manifests itself in their lives, shaking them, and us if we realize it, to our foundations. These are not simple lessons, but truths that reverberate and challenge our very understanding of human existence. And for Kiarostami, As Godard puts it, “Film begins with D. W. Griffith and ends with Abbas Kiarostami.” He pulls back the veil, exposes the truth, or rather lies, of cinema. He dares to show the man behind the curtain—he dares to be the main behind the curtain and point the finger of blame into a mirror. And he does not simply propose to challenge the very ethics and truth of cinema, he proposes that the very process of identification and meaning-making in films is leading, at best, tossing the reigns over to the audience. His cinema cuts against the grain of many of my own longstanding assumptions and understanding of films. He shoves me out of my complacency, forcing me to come to terms with that which I may have recognized before but refused to acknowledge, address or put into words. He does not simply expose the lies in cinema, he exposes the lies I tell myself about watching cinema. I’m also concerned that as a writer I’ve become a bit complacent. It’s easy to get into the grind of reviewing film after film. And, once again, personal issues behind the scenes also factored into some of this. I got to a point this year where I could write a view almost without thinking about it. For some, that might sound like a great place to reach as a writer, but for me I worry it’s a sign that I’ve become a bit of a lazy writer. In less than a week I’ll be taking a month long vacation. During that time I plan to have up some previously written new content intermittently, but I also think it’ll be a time for me to get some distance and think about this site. I think with the move over to this new host, it might be time for some changes.